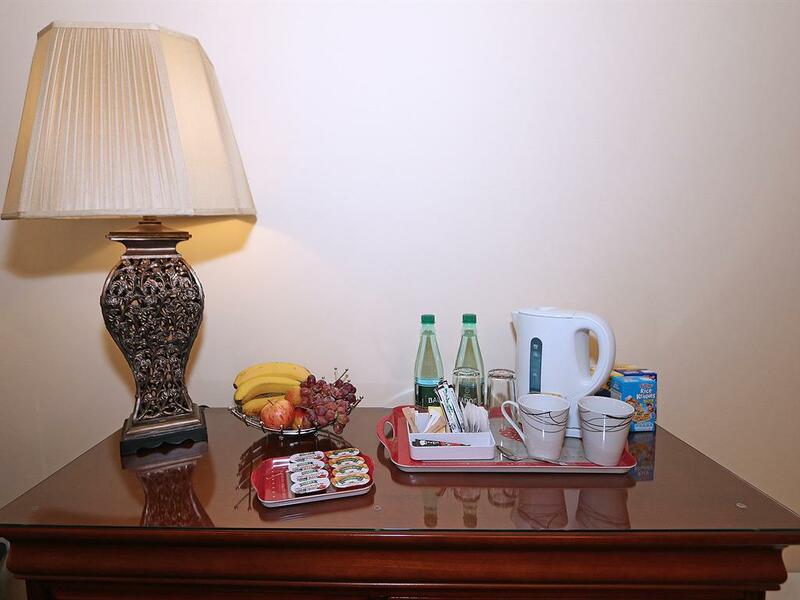 The first floor Beachview Suite consists of a bright and comfortable lounge / diner with T/V. 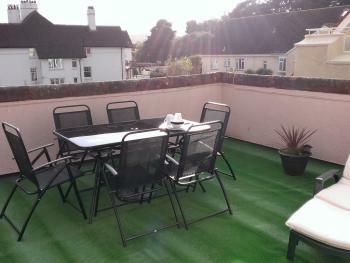 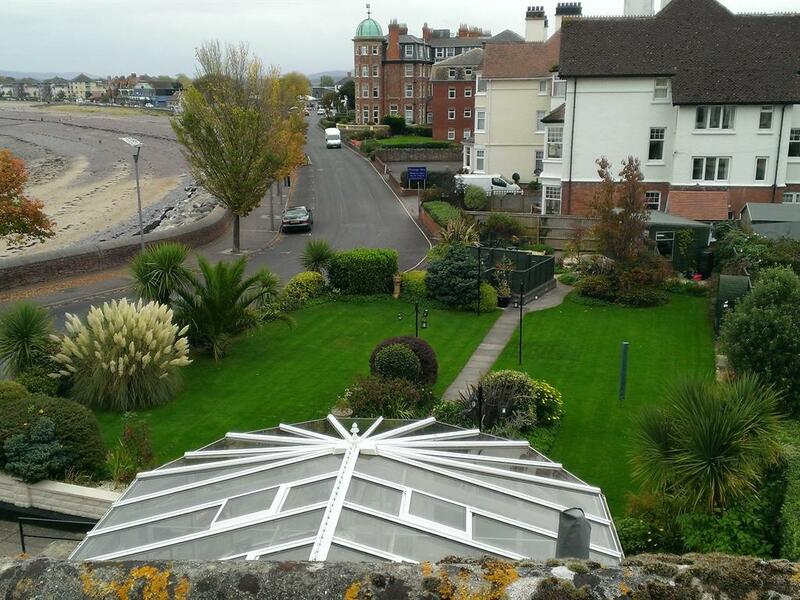 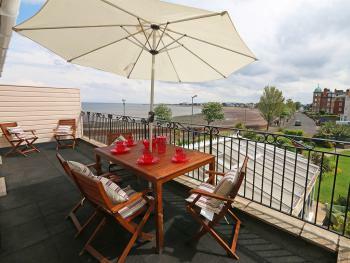 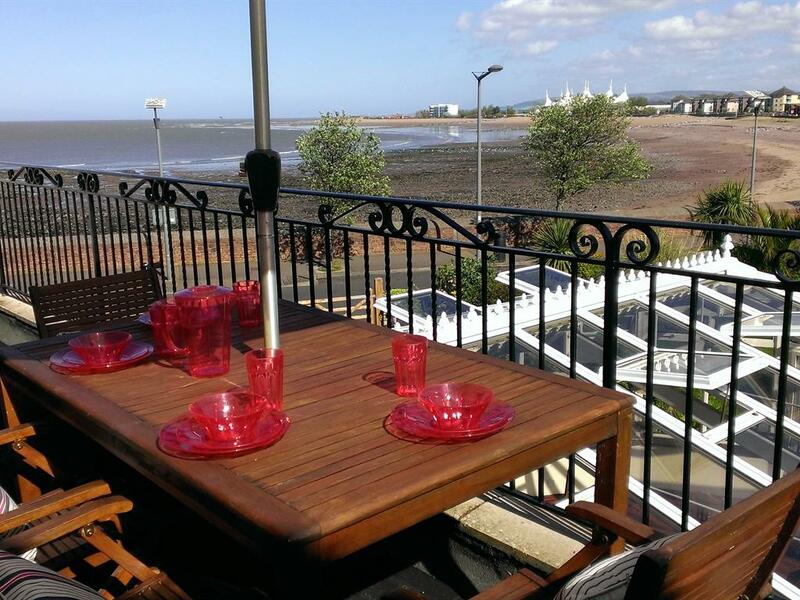 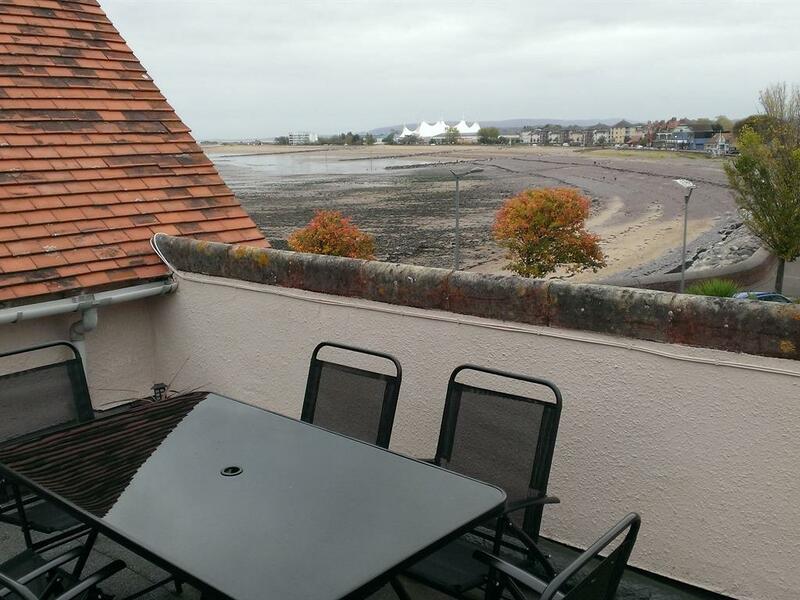 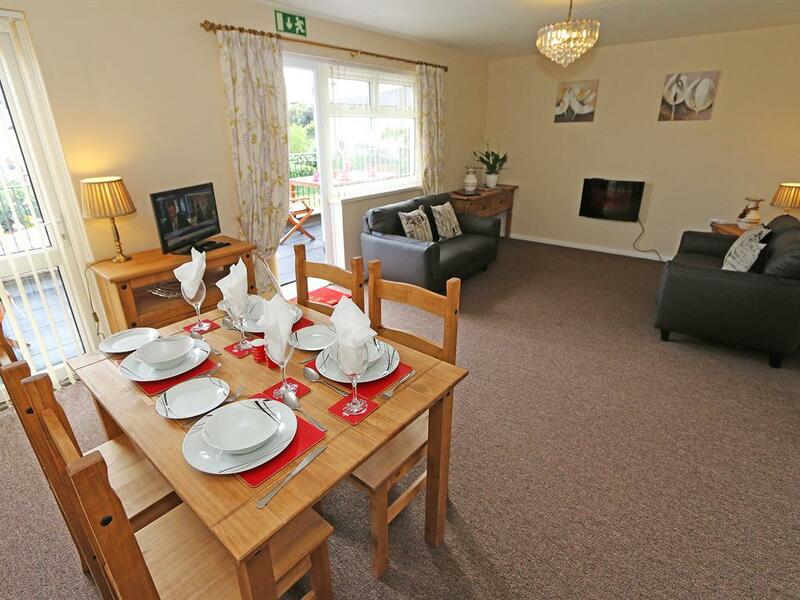 with views across the bay of minehead with your own private balcony and patio set to the seafront. 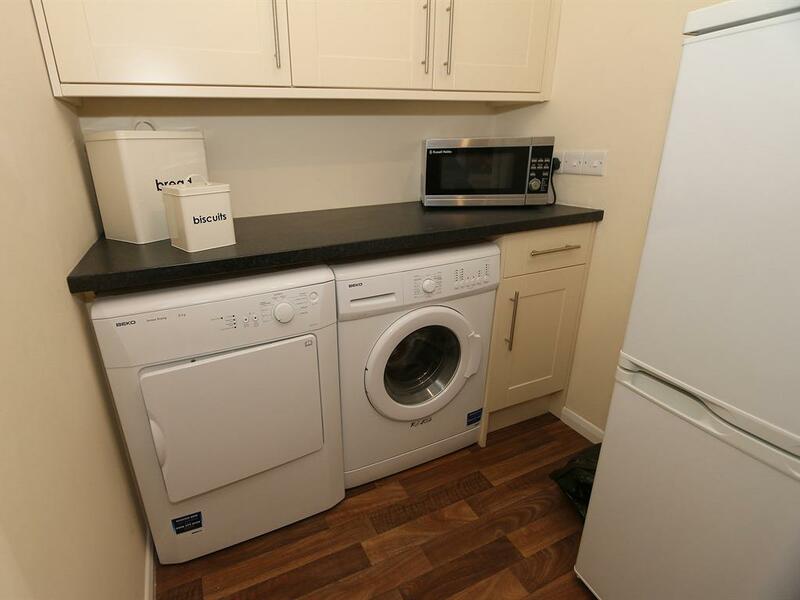 There is a well equipped, new modern galley kitchen with tea/coffee, with a washing machine, tumble drier and a dishwasher also fridge/ freezer. 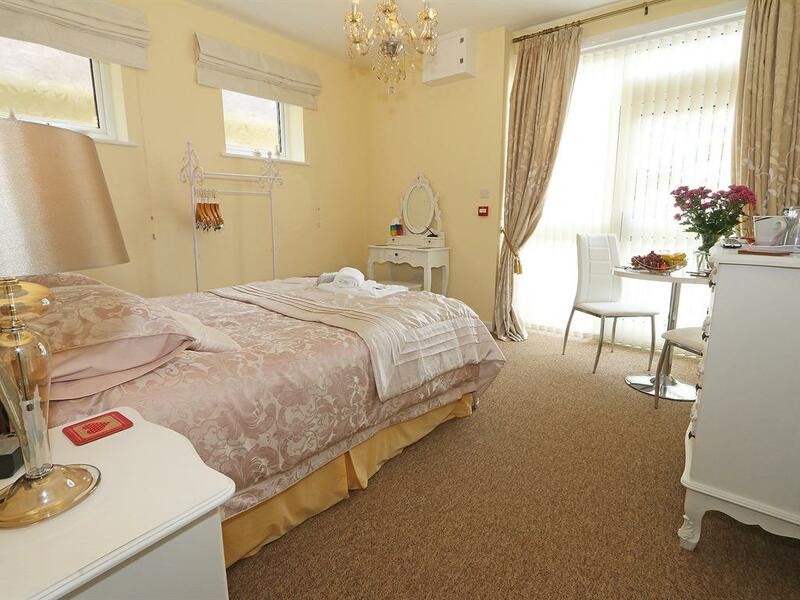 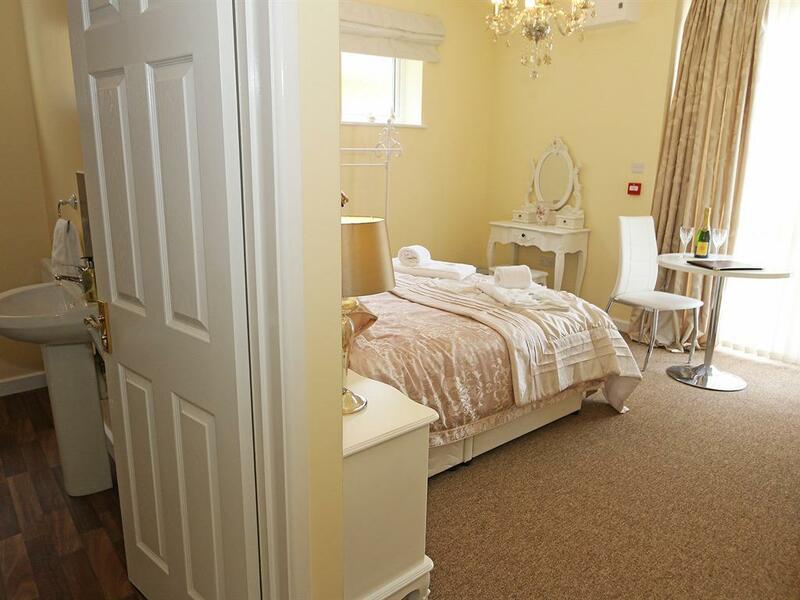 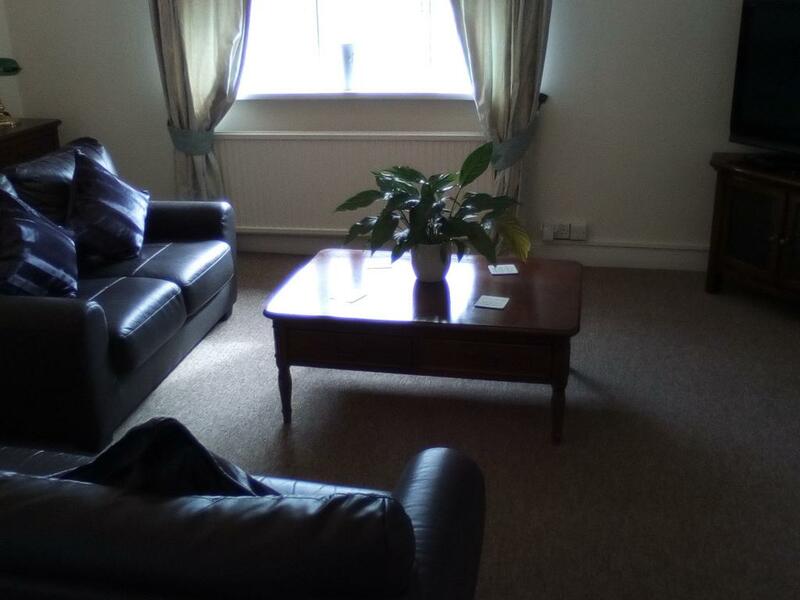 A hallway leads through to a light and airy single bedroom and a spacious, comfortable well-appointed also a king size double bedroom with views towards the harbour with luxury white fluffy towels,,hair dryer, free Wifi, Alarm clock. 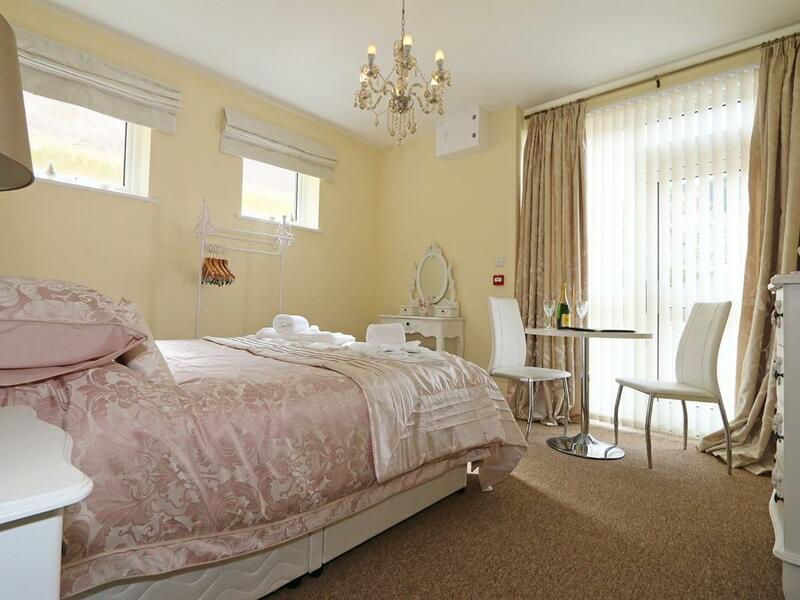 ,all rooms are thermostatically controlled. 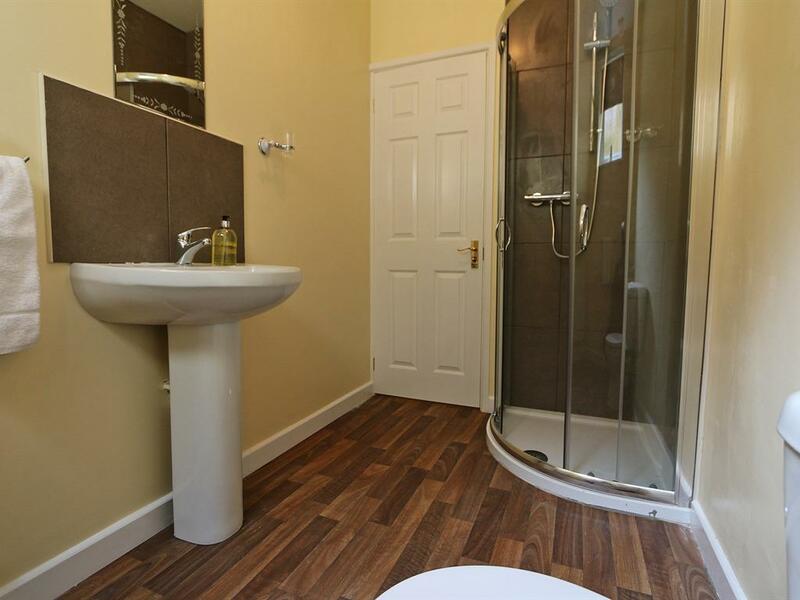 The bedrooms share an inter-connecting modern new shower room / WC. 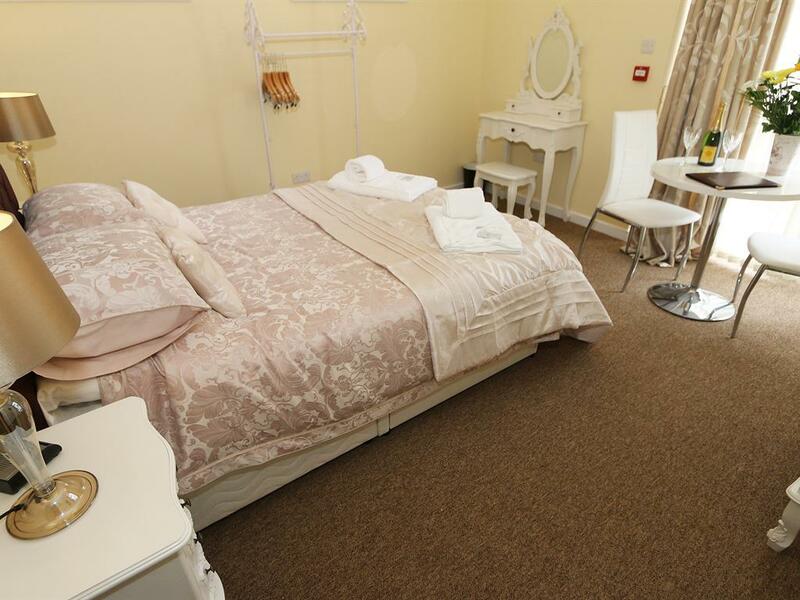 The Harbour Suite is a bright and airy suite with a touch of art nouveau, all tastefully designed to provide a comfortable and practical space to relax in. 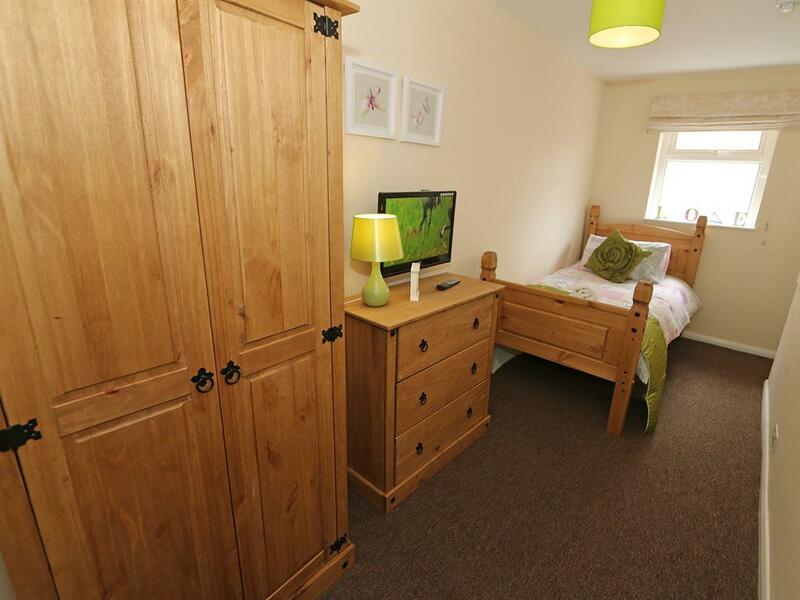 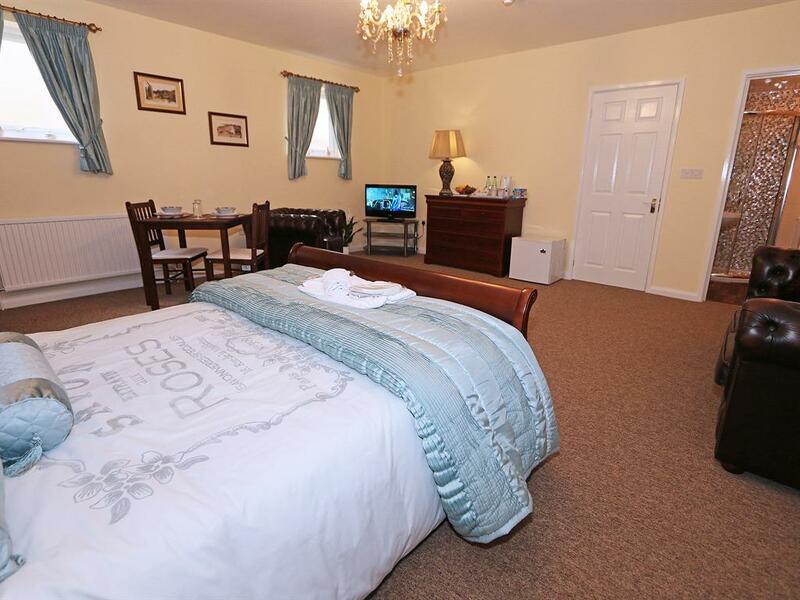 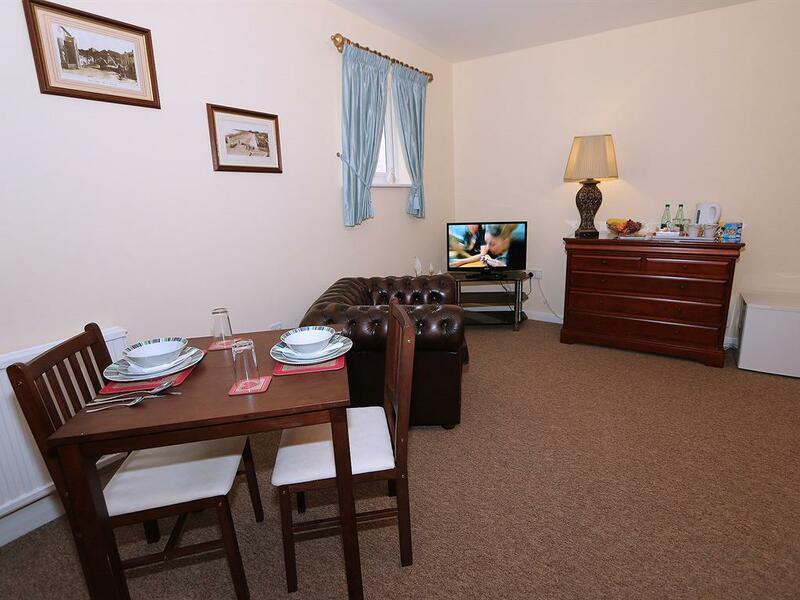 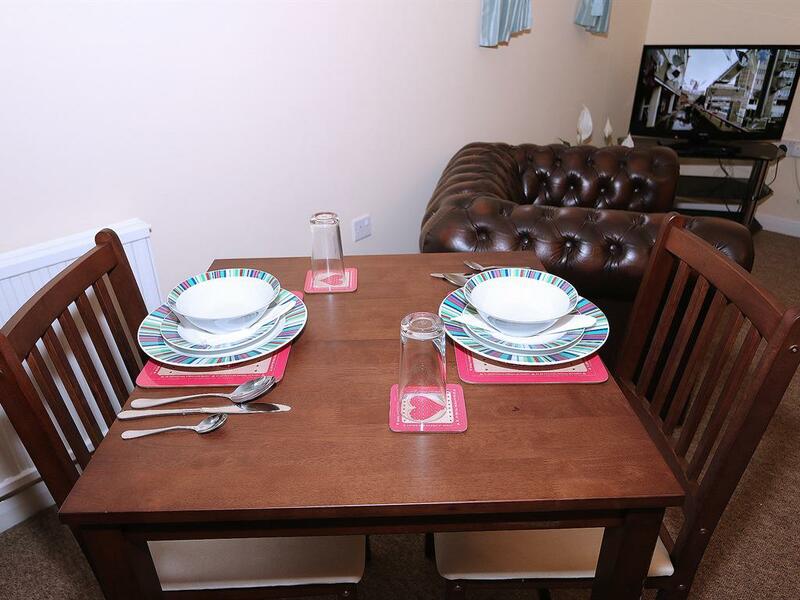 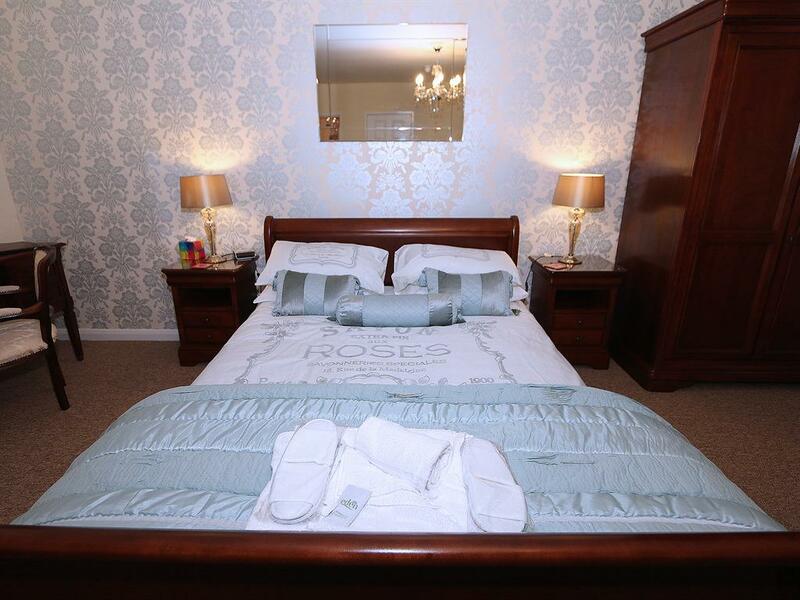 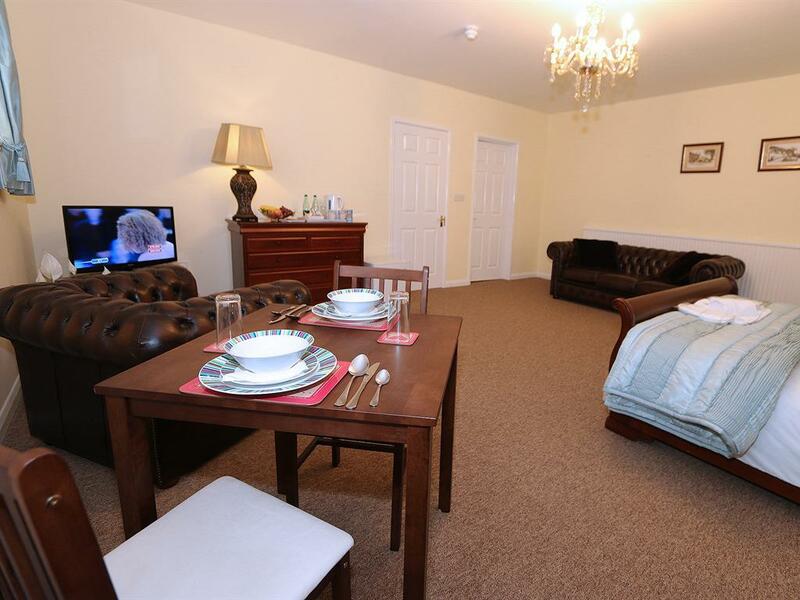 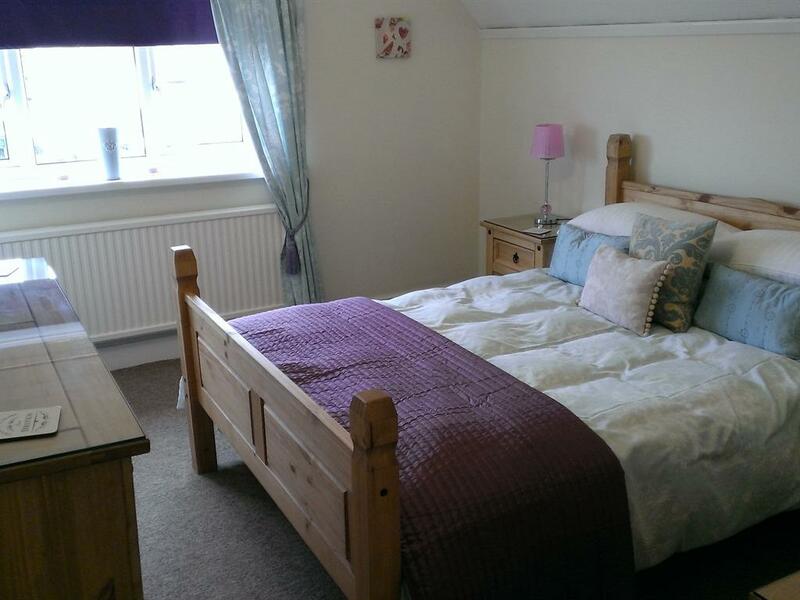 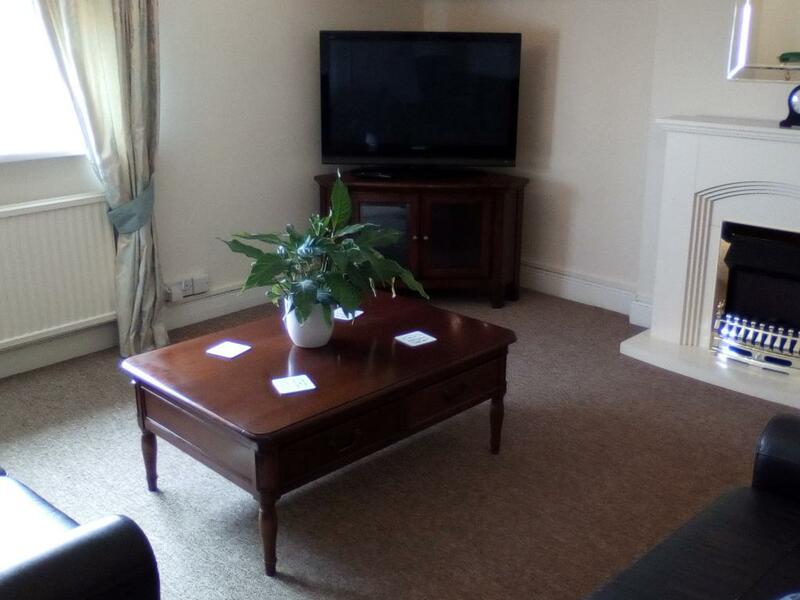 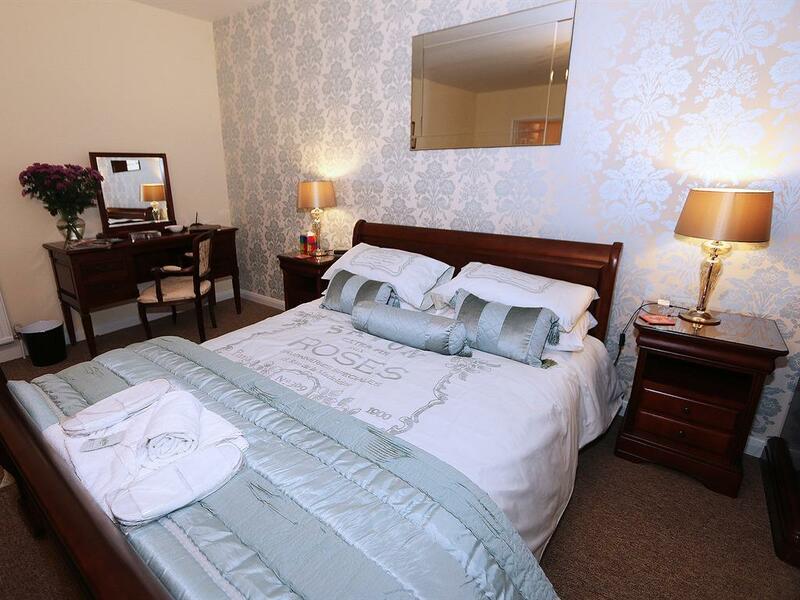 The quality double bed, flat screen television, free WIFI, table and chairs lead through to a brand new en-suite. 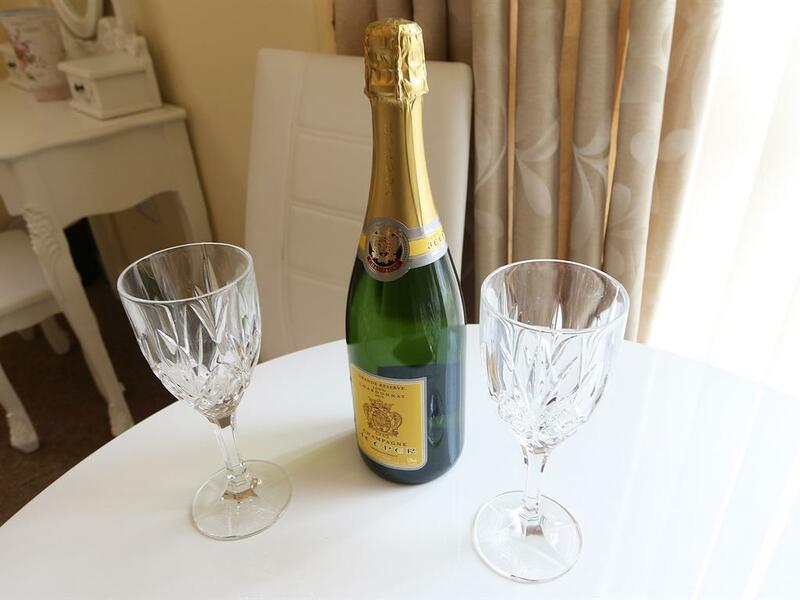 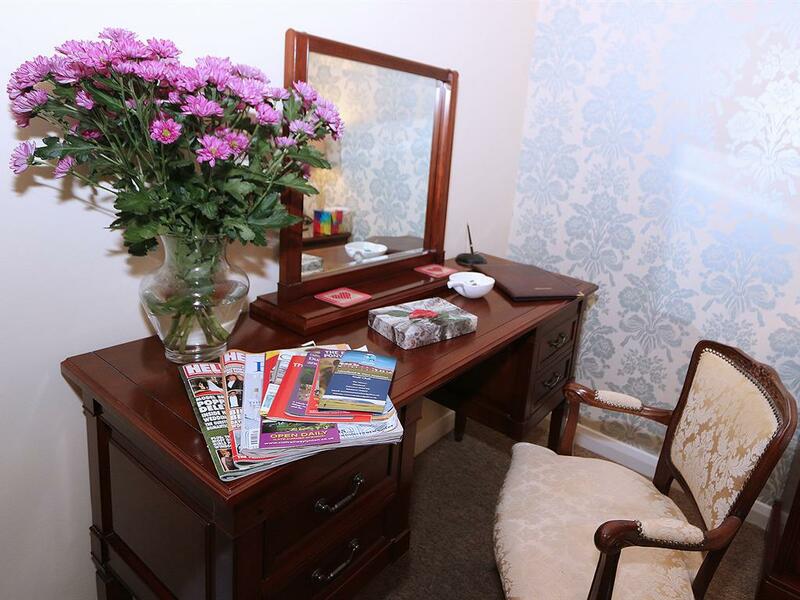 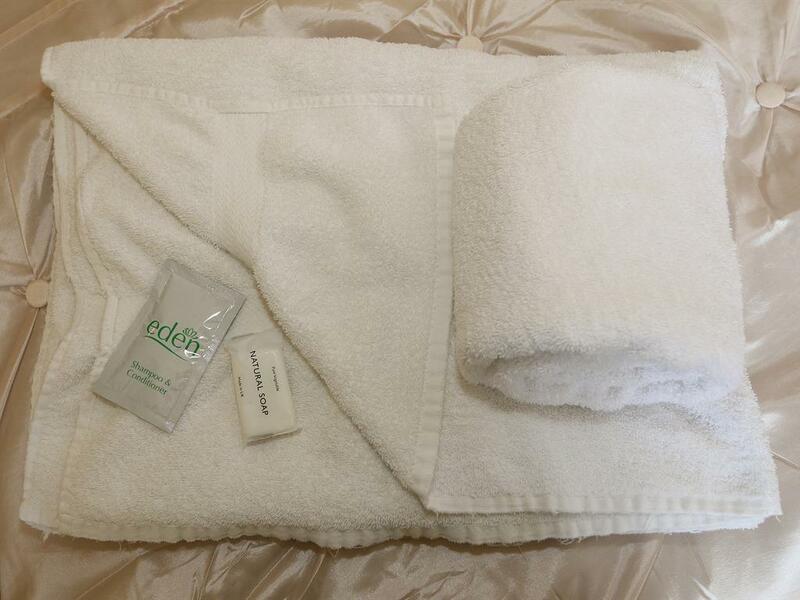 Luxury white fluffy towels, hairdryer,clock, tea/coffee, biscuits, fresh fruit, luxury toiletries,thermostatically controlled heating, Warm welcome. 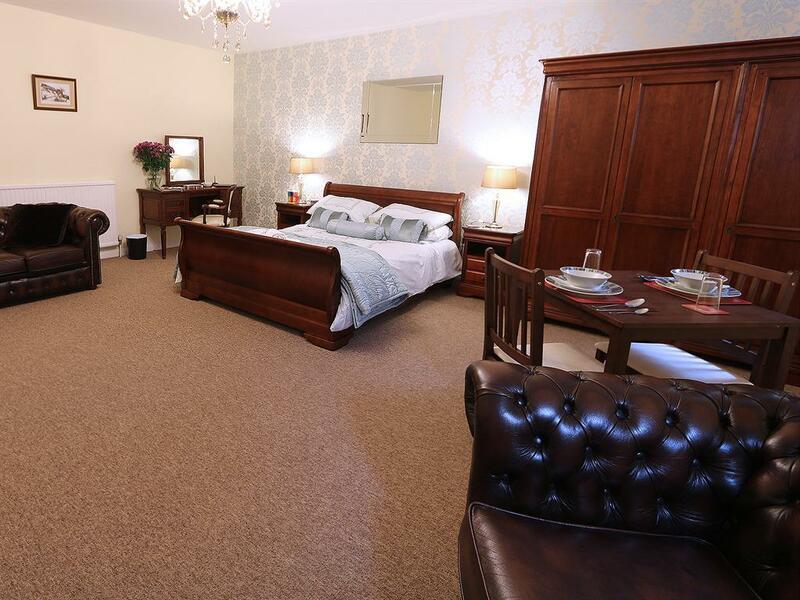 The Blenheim Suite is furnished with high quality cherry wooden furniture and fittings and a comfortable king-sized bed and luxury white bed linen. 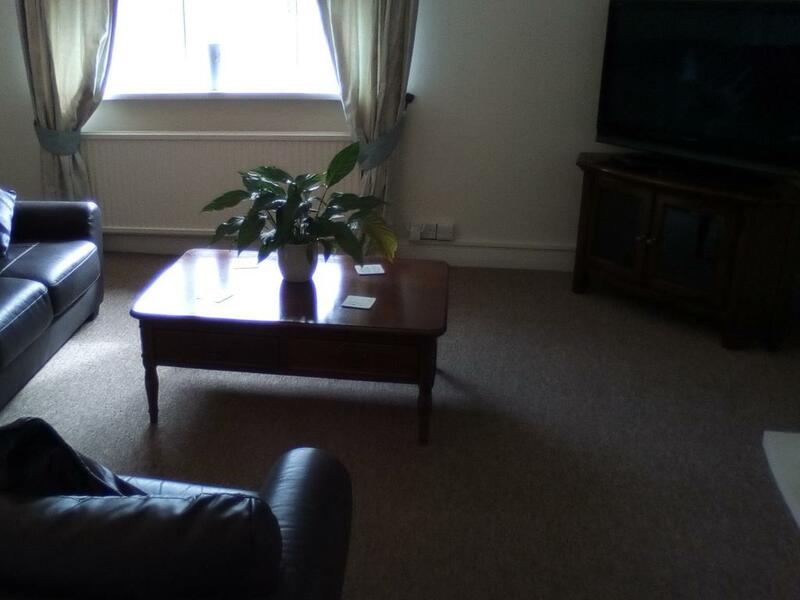 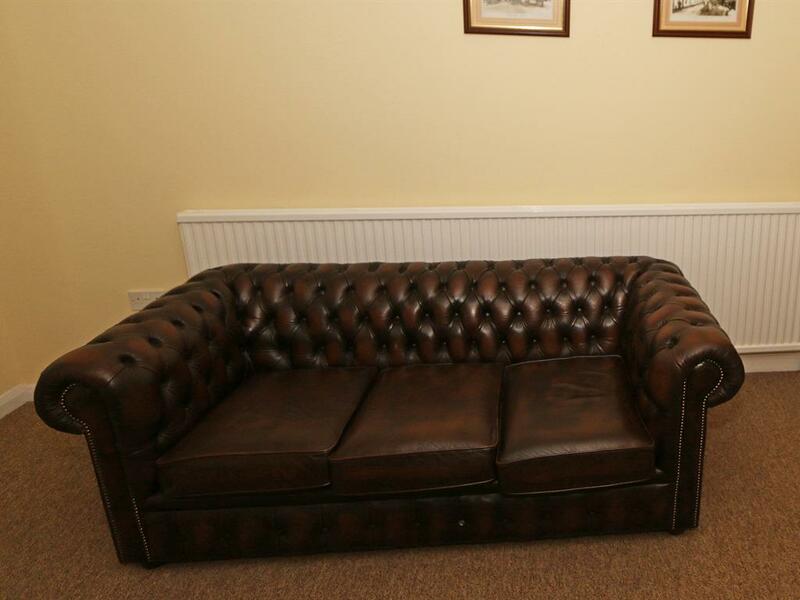 The large suite includes a matching leather suite to relax on whilst enjoying watching the large flat screen T/V and free WIFI, white fluffy towels, fruit, tea, coffee, biscuits, luxury toiletries, hairdryer,clock, thermostatically controlled heating. 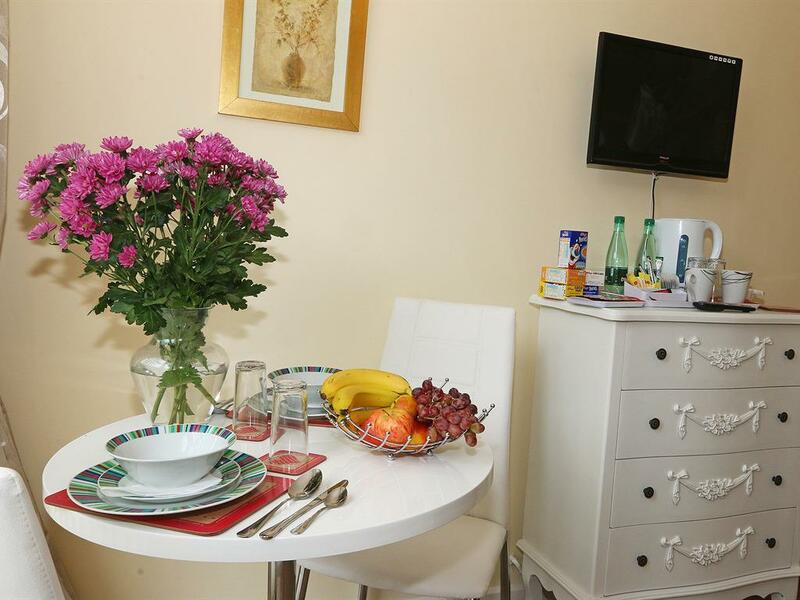 This space is designed to be a sumptuous oasis to return to after a full day of hiking, holidaying, sight-seeing or whatever. 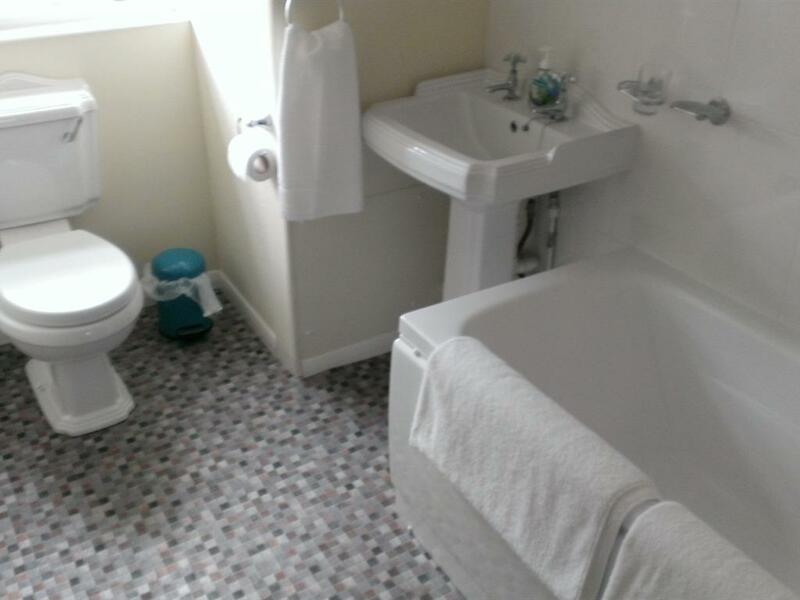 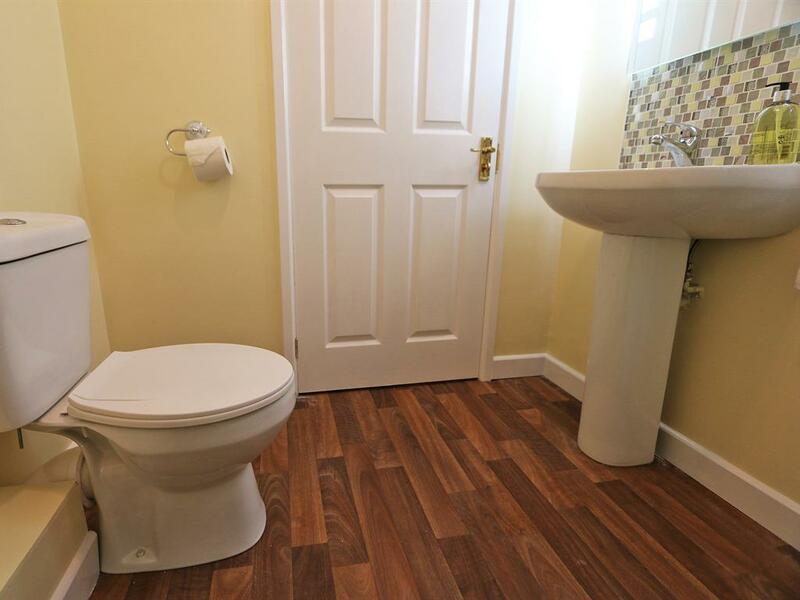 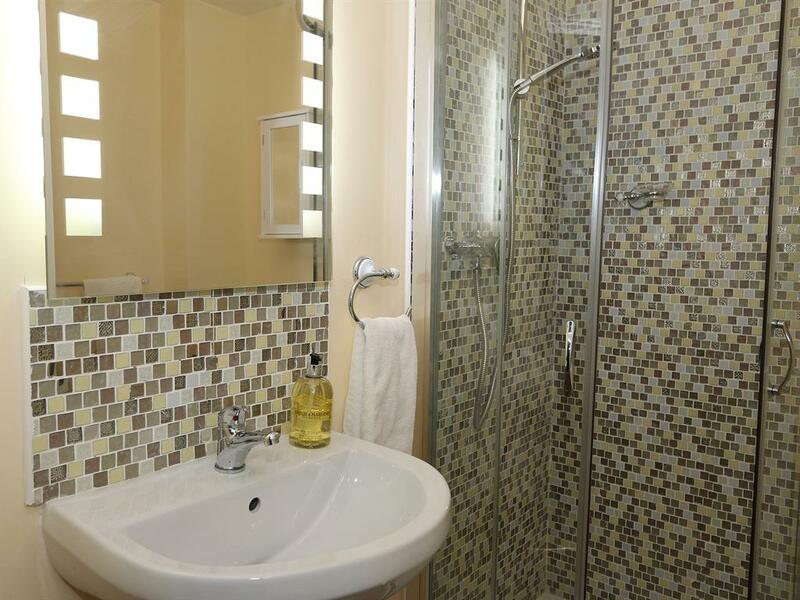 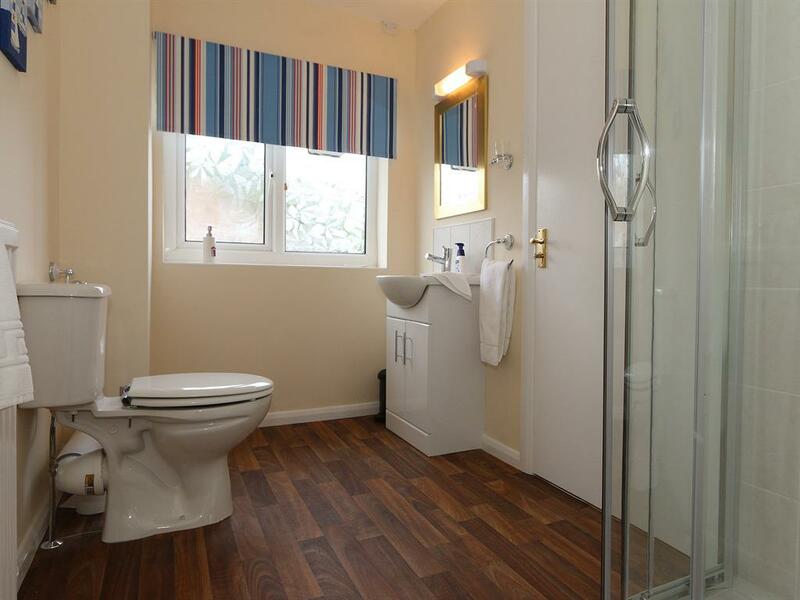 A well appointed shower room / wc is located en-suite. Penthouse suite consists of a bright and comfortable lounge with separate dining room, with paramic views across the bay of mine head also 20ft balcony and patio set to the sea front. 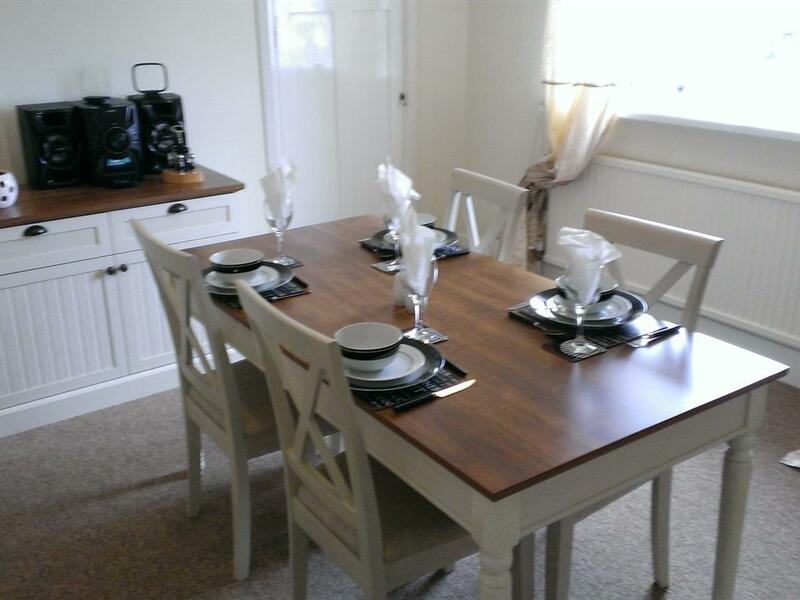 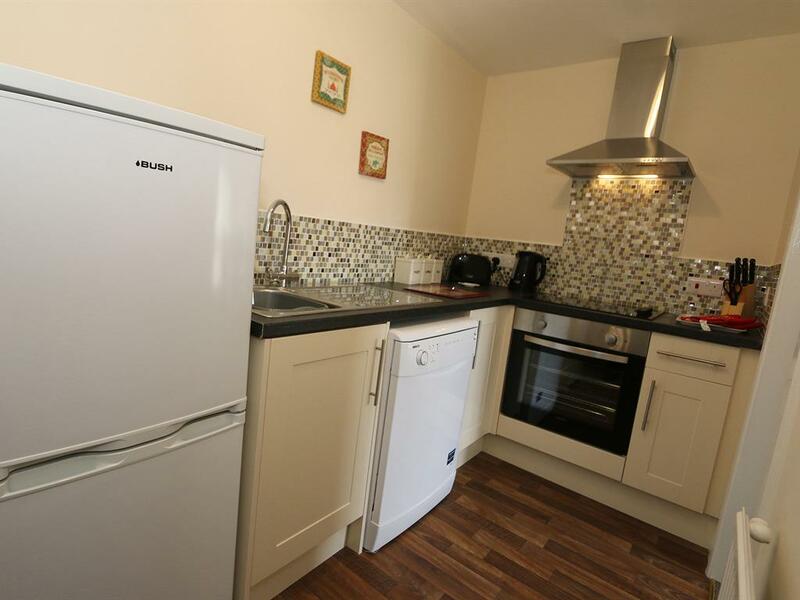 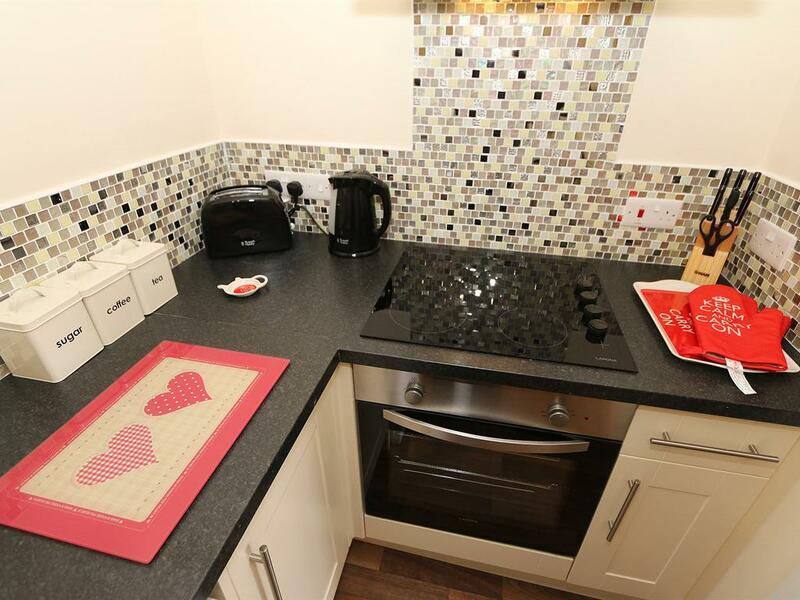 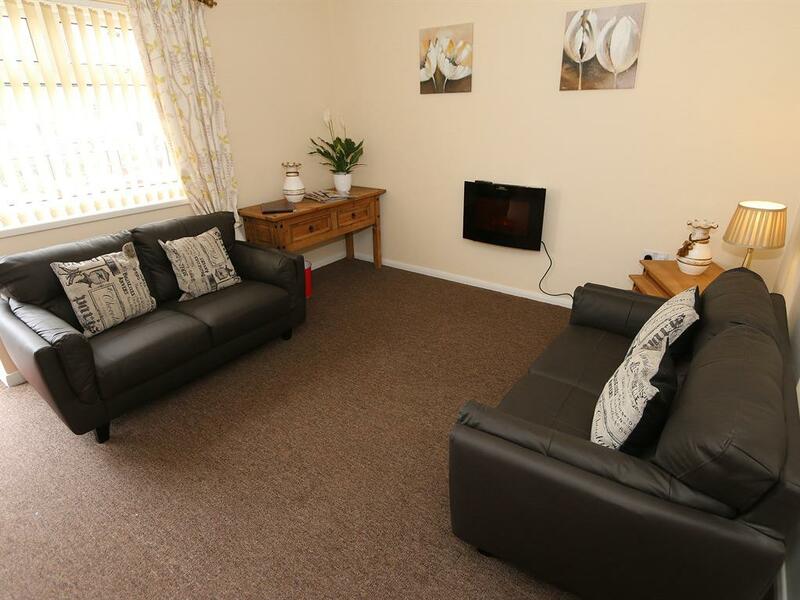 There is a well equipped, new modern kitchen with tea/coffee, washing machine,dishwasher,fridge,freezer . 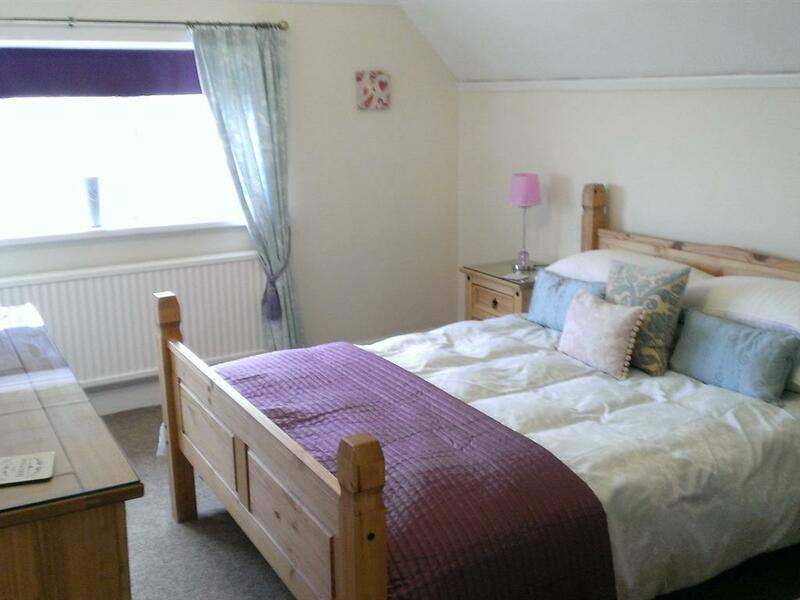 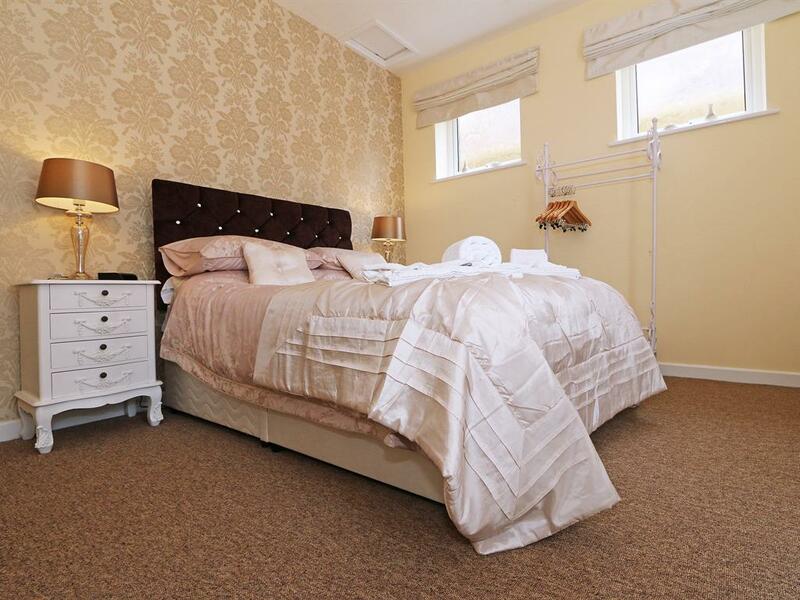 A hallway leads through to a light airy twin ensuite room also there is a double (king size bed) ensuite room with views of the bay of minehead with luxury fluffy white towels,hair dryer,free WiFi, clock, all rooms are thermostatically controlled. 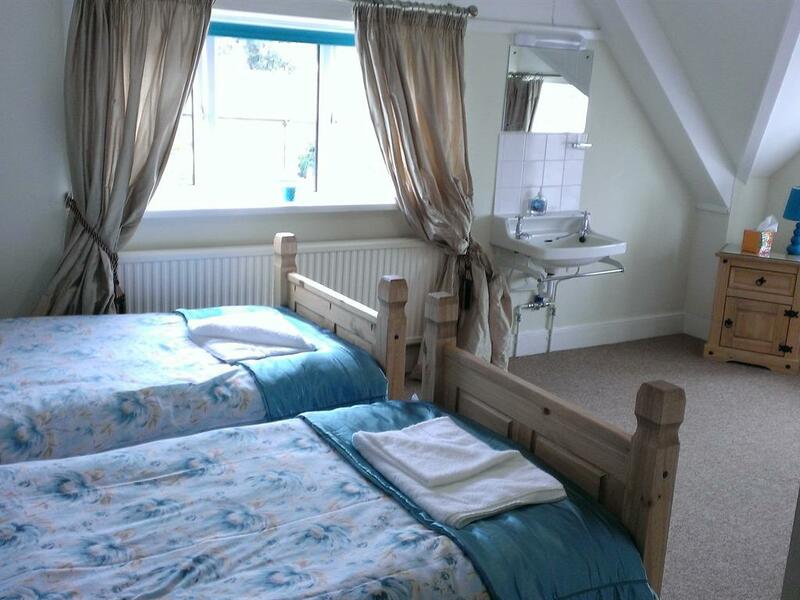 The bedrooms are both ensuite also a additional bathroom on the hallway with shower /WC. 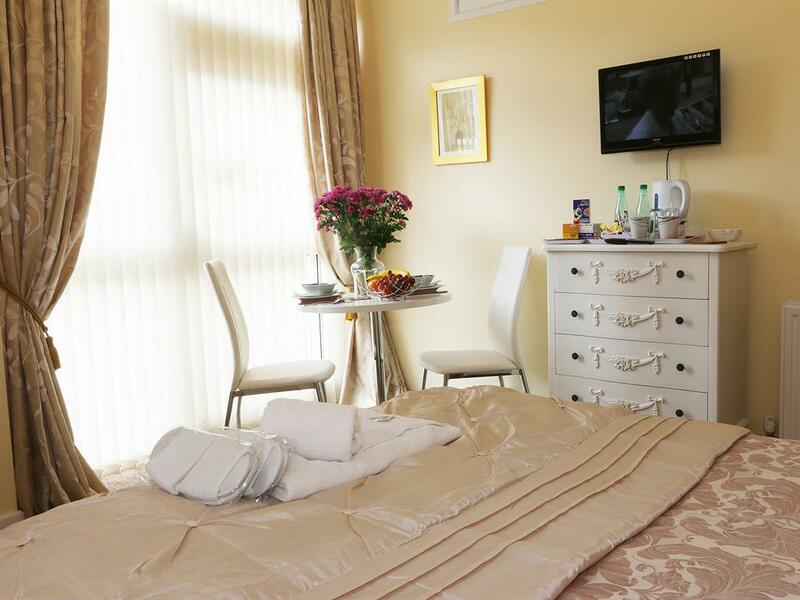 Beach View Suite, Penthouse Suite, Blenheim Suite and Harbour Suite each elegantly combine style, comfort and privacy. 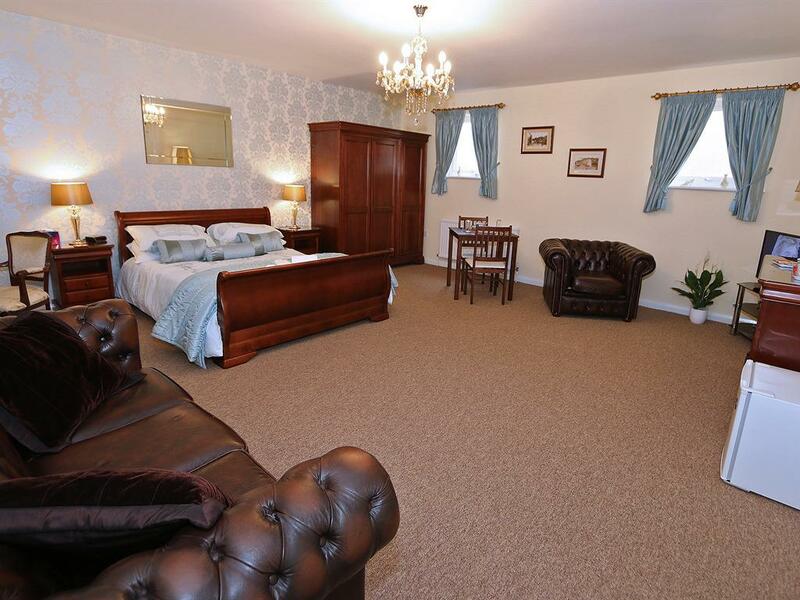 They have been individually designed and decorated with sophisticated furnishings and yet would equally suit holidaymakers, walkers, ramblers, steam train enthusiasts, business people or couples looking for a romantic break. 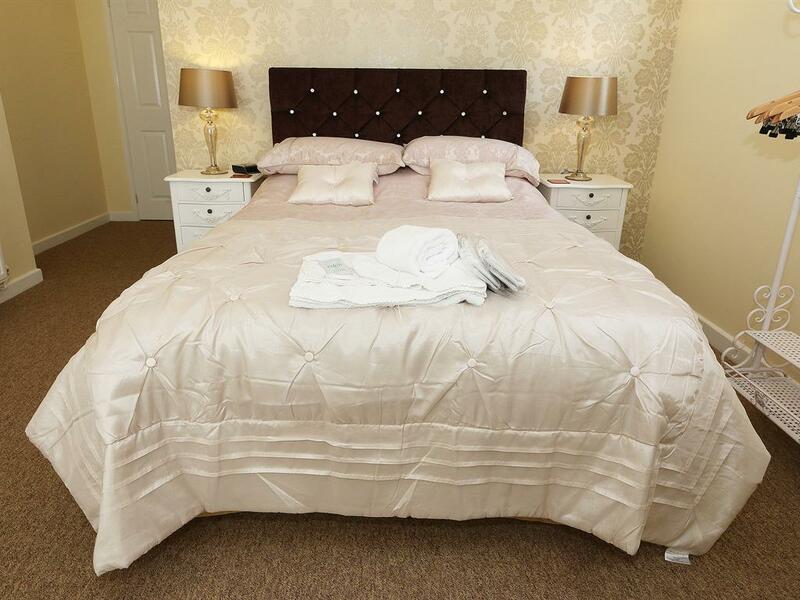 Whichever Suite you choose, you can be assured that each one has been finished to the same high standard and includes: bedding, fluffy towels and complimentary toiletries. 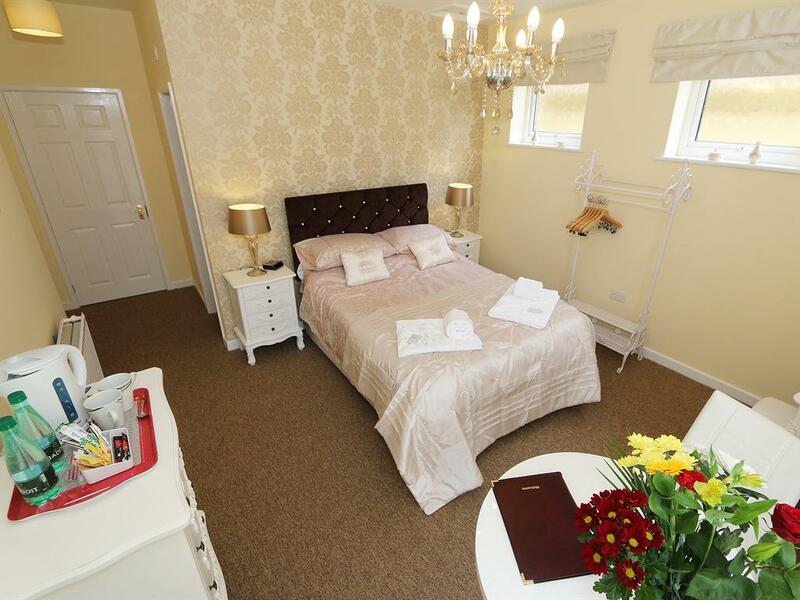 The Suites are perfect for short breaks, business trips or longer stays. 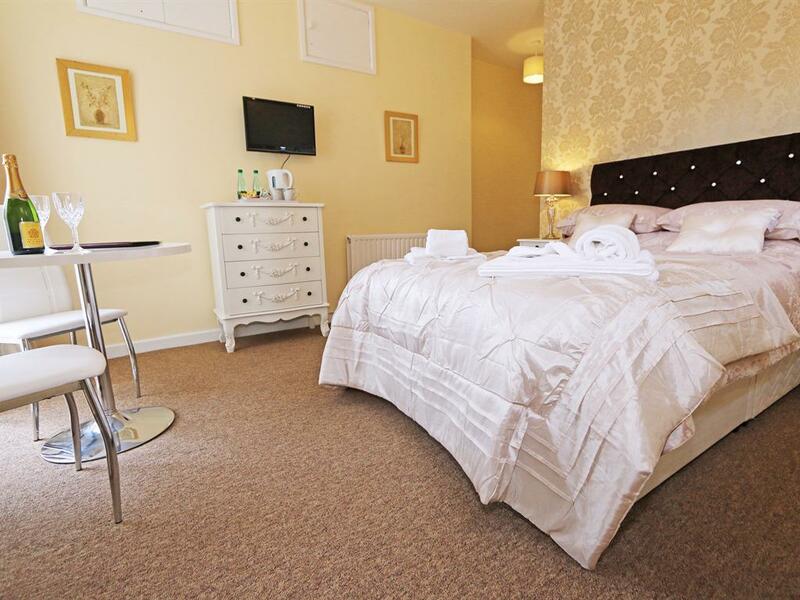 Discounts are available for 3 night stays. 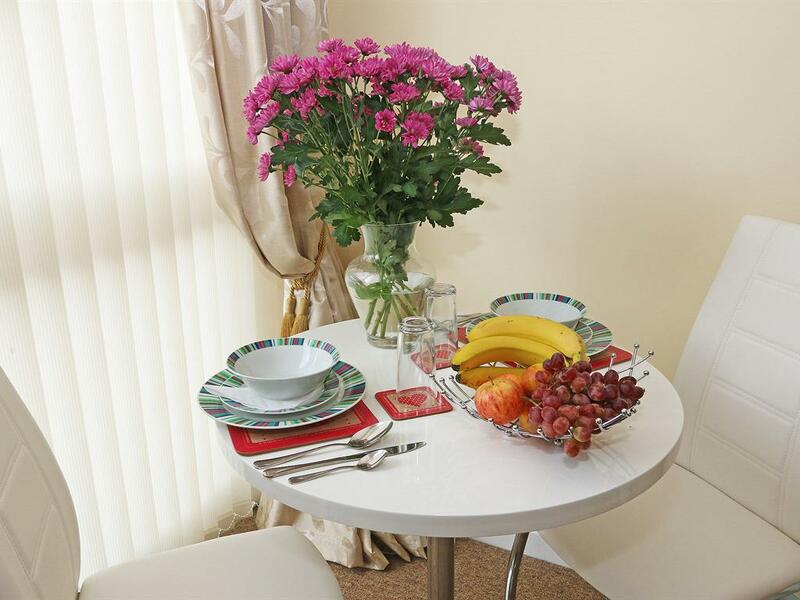 Enjoy our On The House Healthy Start Breakfast; a FREE lighter breakfast selection of buttery croissants with jam and marmalade, a selection of tasty cereals, chilled fruit juices, melon, yoghurts and granola bars. 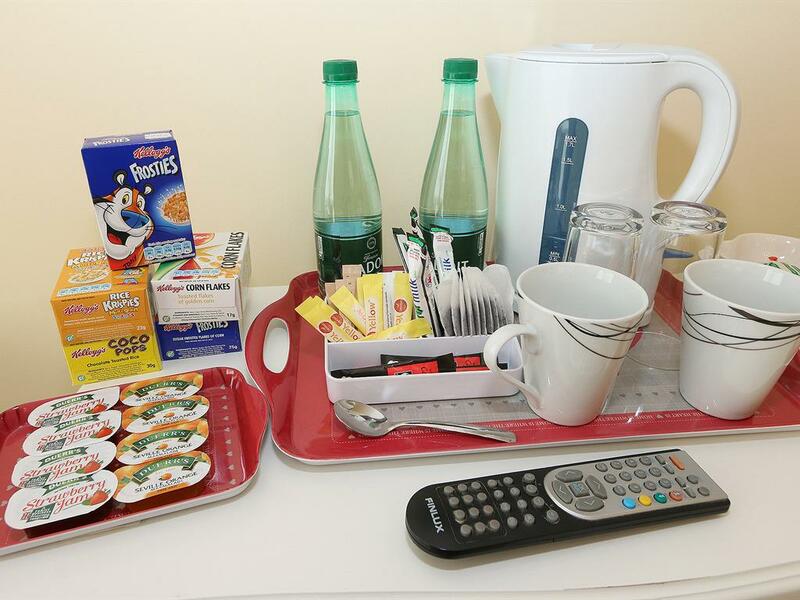 Your On The House Healthy Start Breakfast is waiting ready for you in your Suite to enjoy at your leisure, together with hot tea and coffee, biscuits, bottled water. 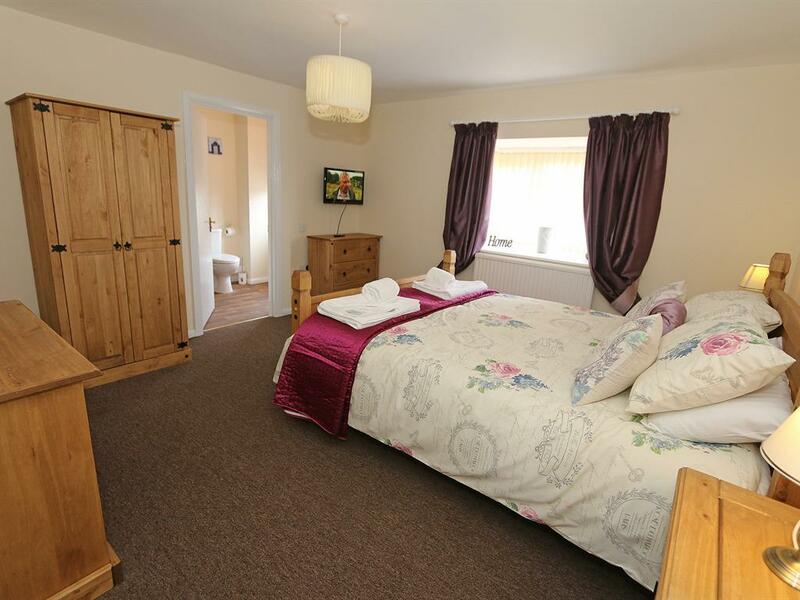 Please note: Beach View suite and Penthouse Suite is Room Only Facilities and Accommodation include: Gas Central heating Flat screen TV with FreeView Ironing board and iron Hair drier Shoe cleaning kit Soft hand towels and bath sheets Books in the hall are available to borrow En-suite shower / WC Fridge Free Wi-Fi broadband access Free cot or high chair - please request at time of booking Free On-street parking Check-out time is 10am Check-in after 4pm Sorry no pets. 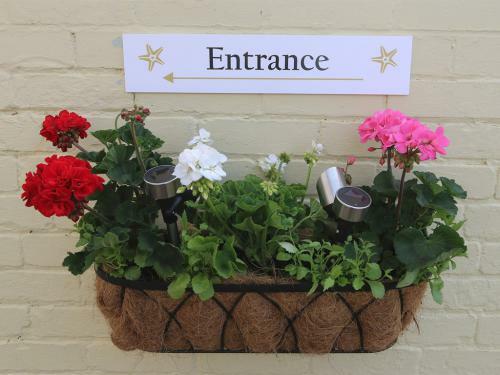 Assistance dogs by arrangement. 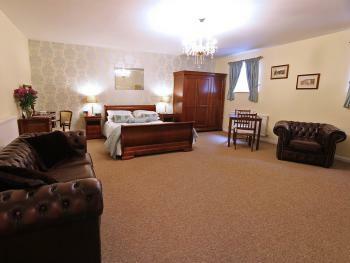 Harbour Suite and Blenheim Suite are located on the level / ground floor. 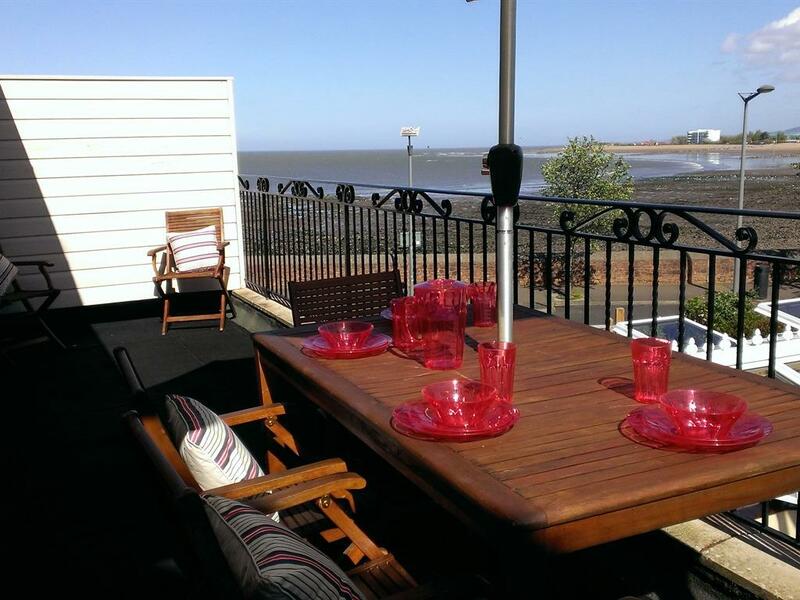 Beachview Suite is on the first floor, Penthouse suite is on the second floor. 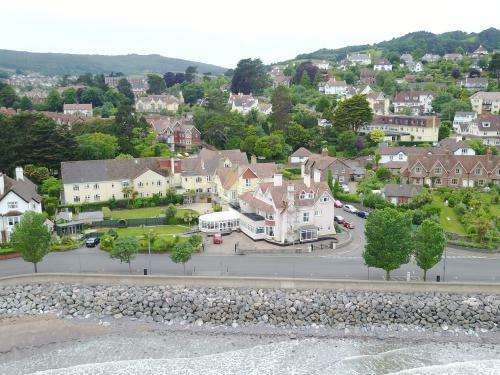 Follow the signs to the Sea Front. 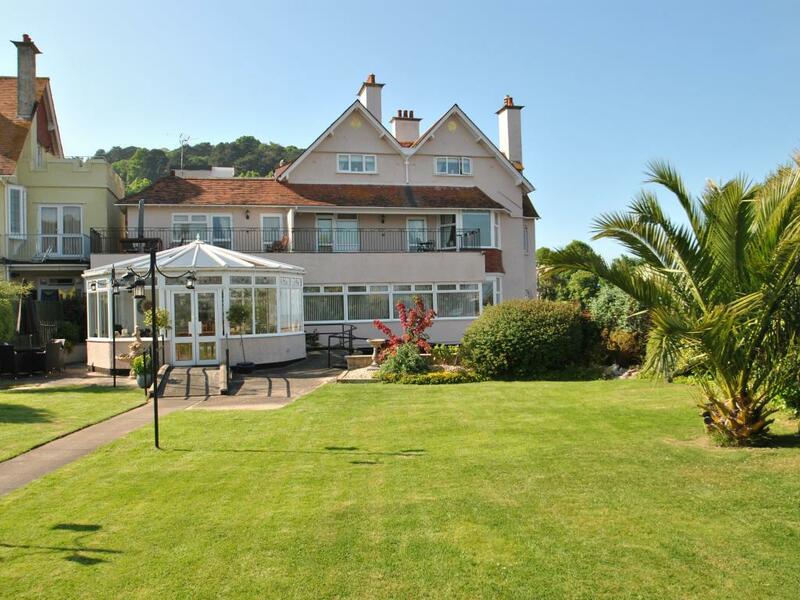 Beachside Suites are located on the corner of The Esplanade and Blenheim Road - (towards the harbour end).